Just take a look at the warm air registers in any room or open the fan compartment on your furnace and you will see the dirt accumulation for yourself. In a new home the problem can be multiplied from deposits of plaster, sawdust and sand that fell into the pipes during construction. Leaving your duct systems dirty means you have to suffer the consequences of allergic or respiratory reactions, high cost cleaning bills, plus considerably less efficiency from the heating and cooling system. Vacu-Man can rid your furnace and duct systems of this dirt, allowing you to breath clean air, and making your furnace more efficient. Our thorough cleaning of the checklist on the right produces an exceptional change in air quality. 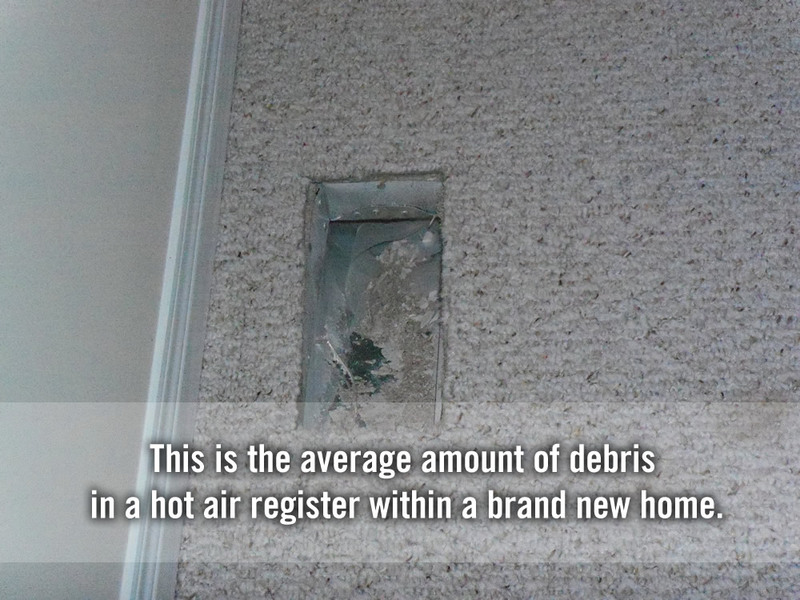 Now that you know why a regular duct cleaning is always a good idea, here’s a picture that says a thousand words! Our results don’t lie!